Harebrained Scheme launches worldwide the highly anticipated "Shadowrun Returns" on Steam and Tablets on July 25, 2013. This single-player tactical RPG is the first seven-figure Kickstarter funded game to launch, and fans have been eagerly sharing the year-long experience of watching the game develop. 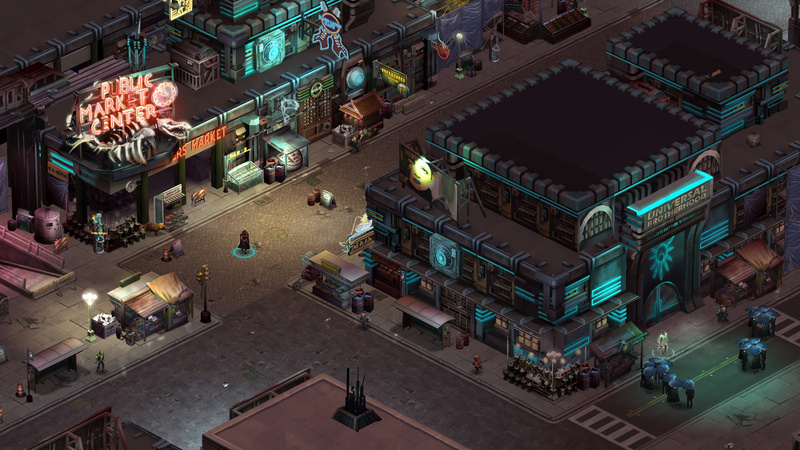 Launching on Steam and mobile tablet devices on July 25, 2013, Harebrained Schemes' Shadowrun Returns has been a shared community experience from its beginning. The highly anticipated single-player tactical RPG is the first seven-figure Kickstarter funded game to launch, and fans have been eagerly sharing the year-long experience of watching the game develop. Beyond its successful community funding, Harebrained Schemes is encouraging its community to share by releasing the game's game editor, a robust set of tools for anyone to use to create their own stories in Shadowrun’s rich and vibrant shared universe. While other games offer editing tools, Harebrained Schemes is going one step further by releasing the entire Shadowrun Returns campaign in the editor format. "The idea of releasing all of the editor files for the Shadowrun Returns campaign was based on my experience working with Trent Reznor on the Alternate Reality Game (ARG) for his album Year Zero. Trent empowered his fans to re-mix his music anyway they wished by releasing the GarageBand tracks with the album. With Shadowrun Returns we are doing the same thing, players can start from what we have created and build on it, revise it, or use it as a starting point for completely new stories. I believe we are the first to release an editable version of an entire campaign, and we are excited to see where the players take this universe," said Jordan Weisman, founder of Harebrained Schemes and originator of Shadowrun. As many fans know, Shadowrun is a "shared universe" based on the 1980's venerable tabletop RPG that is still thriving today, and is about to launch a Fifth Edition from Catalyst Game Labs. The Shadowrun universe has endured and evolved for 24 years with hundreds of designers, authors, artists, engineers, and gamers contributing to its rich, layered setting. Shadowrun Return and its players will extend this universe even further. To learn more about Shadowrun Returns, go to Harebrained Schemes web site. Pre-orders for Shadowrun Returns are being taken now on Steam. Harebrained Schemes is a small group of wildly talented people, crammed into a closet, making whatever cool thing inspires them next. The Harebrained team is a combination of seasoned veterans and fresh talent, and is led by serial entrepreneur Jordan Weisman—founder of FASA, Virtual World Entertainment, FASA Interactive, Wizkids, 42 Entertainment, Smith & Tinker, and creator of BattleTech / MechWarrior, Shadowrun, and Crimson Skies. Their first title, Crimson: Steam Pirates, was one of Apple’s Benchmark Games of 2011 and one of Metacritic.com’s Best iPhone Games of 2011. Their next title, Strikefleet Omega, was named one of Google Play’s Best Games of 2012. In April 2012, Harebrained Schemes made headlines when it launched one of the first 7 figure Kickstarter campaigns to fund Shadowrun Returns, which now appears on five “Most Anticipated Games of 2013” lists.